Maximize your entire education process with Eduslide, a comprehensive web-based learning management system (LMS) accessible through desktop computers and all popular versions of mobile devices. 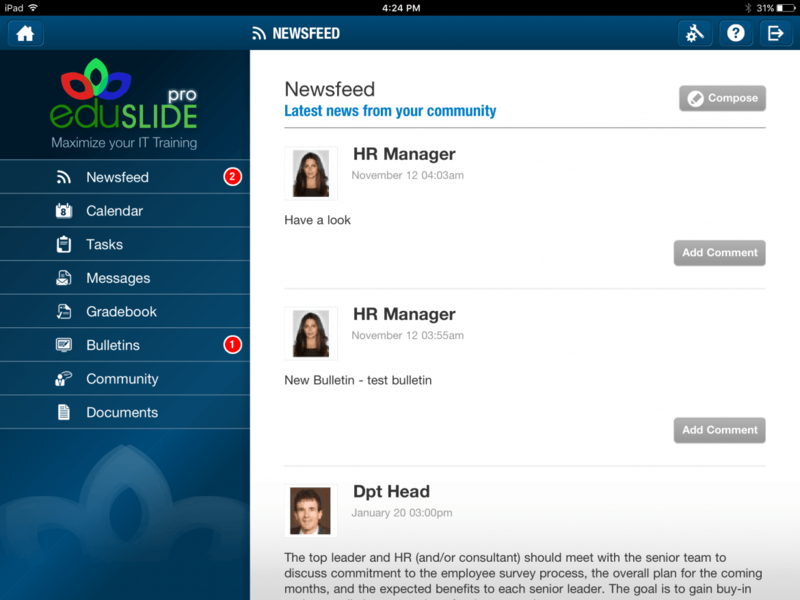 The Talk digital team was tasked to develop mobile versions of the eduSLIDE system for both iOS and Android for tablet and smartphone devices. This enabled students to leave the office and continue their work in the field as well as be evaluated on their work immediately.